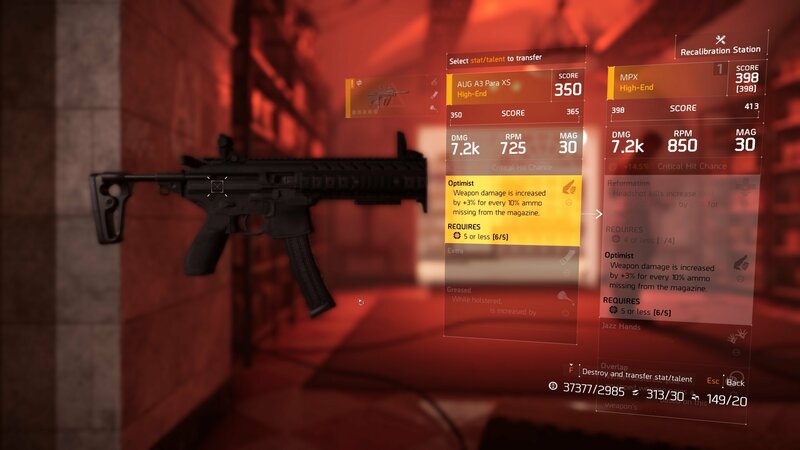 Learn everything you need to know to use the Recalibration Station in The Division 2. After you recruit Emma Richards to the Base of Operations at the Whitehouse, you’ll unlock the Recalibration Station. This new crafting area allows you to take Talents from some equipment and place them on other pieces of equipment. It’s a great way to pick and choose the Talents that you want for some of your weapons and is key to really building out your loadouts if you want specific Talents available to you. 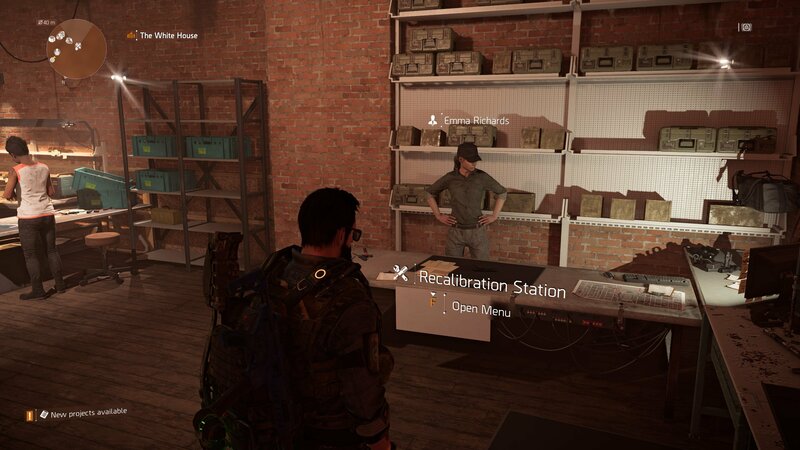 In this guide we’ll tell you everything you need to know to use the Recalibration Station in The Division 2. As stated above, the Recalibration Station allows you to change the Talents on your current weapons and gear by pulling a single Talent from another piece of gear of equal rarity and type. This will allow you to more finely tune your Talents to include things that you will actually make use of on your loadout. There are a couple of things to keep in mind, though. Recalibration can be costly, destroying the other piece of equipment that you pull a Talent from. Because you’re always changing out gear as you level up and complete World Tiers, I highly recommend waiting until you reach the higher World Tiers before working with the Recalibration Station at all. You can find the Recalibration Station in the White House. To make use of the Recalibration Station, head to the White House and make your way inside. From the entrance, take the first left-hand turn and you should see the new area next to the Crafting Station. Interact with the table in front of Emily and it will pull up the recalibration screen, where you can choose the item that you want to recalibrate. Choose the item from the selected inventory slot and it will pull up all the current items you have of that type in your inventory. Find the one you want to recalibrate and select it. Now it’s time to select the talent, you can navigate up or down on the Talent that you want to replace. Just remember that whichever Talent slot you select, you’ll only be able to pull that SAME Talent slot off of another piece of gear, so try to look for a Talent beforehand to make the process easier. How to use the Recalibration Station in The Division 2. When you’ve selected your Talent, you’ll then need to choose the item that you want to pull another Talent from. Find the item in your list and select it. You’ll be given a final warning via the commands on the bottom of the screen that recalibrating will desconstruct the second item. Just ignore it if you’re sure and hold down the button to recalibrate the piece of equipment. When it’s done, the new Talent will replace the old one on your first piece of gear, giving you access to that Talent or stat. 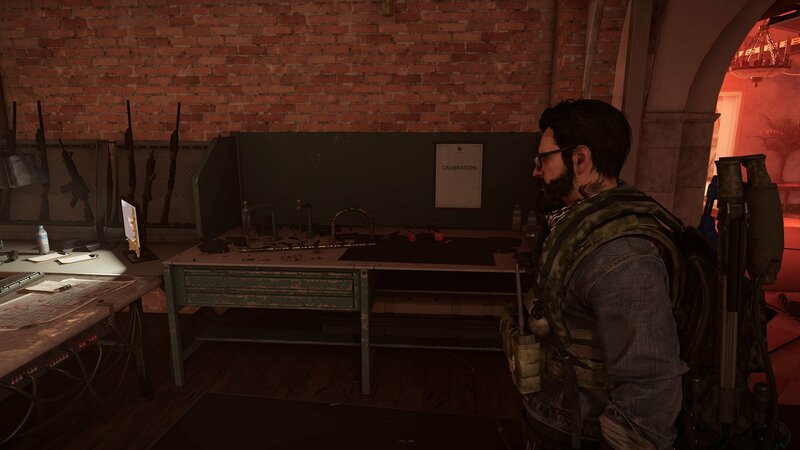 Now that you know how to use the Recalibration Station, be sure to head back over to our The Division 2 guide for more in-depth help with anything else in the game, including our guide on how to find all 12 Hunter Masks and more.